First up, Trinoline from minori! 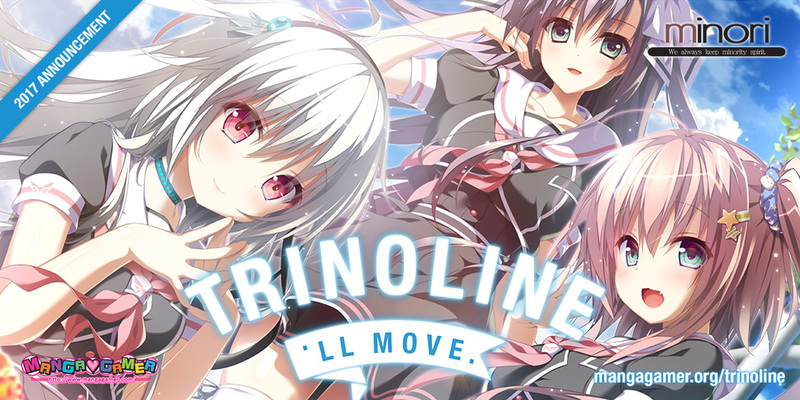 At his Anime Expo panel last year, Nobukazu (nbkz) Sakai announced minori’s next visual novel project: Trinoline! Created for both Japanese and western audiences in mind, Trinoline brings minori’s high-quality production values to the forefront in this beautiful sci-fi adventure. We hope to bridge the gap and bring Trinoline to English-speaking audiences in 2017! More details about this title can be found on the Trinoline landing page! 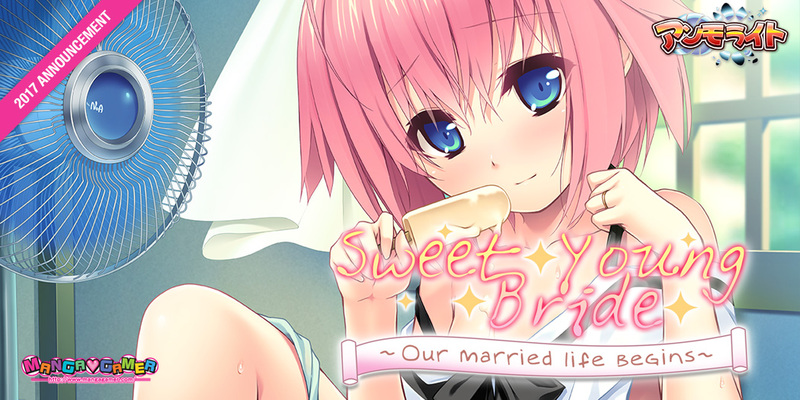 Secondly, we’re excited to reveal one of our secret projects: Sweet Young Bride ~ Our Married Life Begins ~ from Ammolite! A government-sponsored marriage program has become a normal part of everyday modern life. It’s something average people like Kouta, who figures he’ll have to search for a wife on his own, really want to take advantage of. One day, he is contacted by agents from the Program, notifying him that they have selected him as a participant. He’s introduced to a girl named Hazuki Izayoi, and the two are quickly married and start their newlywed life together. Release information will be made available via our social media streams and blog in the very near future! Next, we’re pleased to announce our newest BL acquisition, Hashihime of the Old Book Town, from indie developer ADELTA––coming to both MangaGamer.com and Steam! Jinbochou, Tokyo. June 1922, Taisho Era. The Rainy Season. Tamamori came to Tokyo with his sights set on getting accepted to the Imperial University. However, he doesn’t pass the entrance exam, and is so undisciplined and wrapped up in endless fantasies that he’s kicked out of his boarding house after only two years. Through a stroke of luck, Tamamori begins to live and work at Umebachidou, a used book store. There, he enjoys whiling away his time as a “student preparing for entrance exams” and taking advantage of friends who are also from his hometown. But one right after the other, mysterious deaths befall those friends and, realizing he’s been repeating the same rainy three days over and over again, Tamamori finds himself racing throughout Jinbochou to save them. In this psychedelic mystery that surrounds the deaths of his friends… What is real, and what is a hallucination? 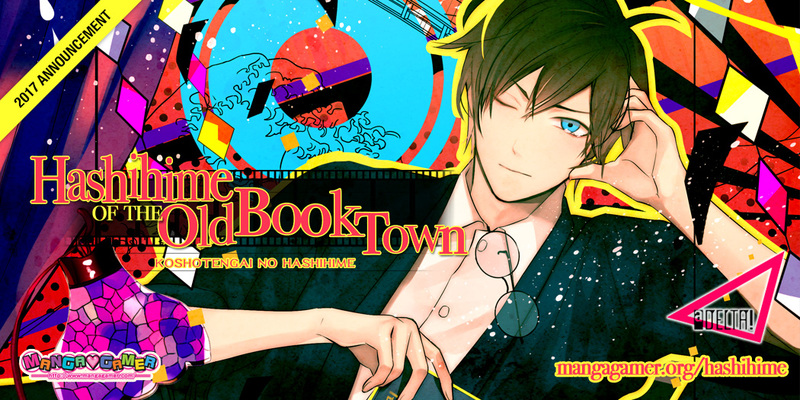 More details about this title can be found on the Hashihime of the Old Book Town landing page! And last, but certainly not least, we’re excited to reveal our special guests for Anime Expo! 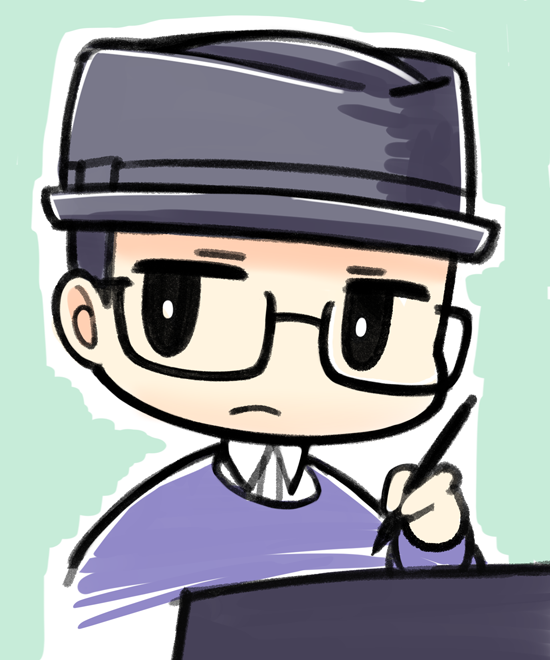 First up, the lead concept artist, graphic designer, and illustrator at MOONSTONE, Mr. Ran Yamakaze! He is known for his modern take on Japanese “moe” art style, making him stand out among the plethora of notable artists and illustrators within the industry today. His most notable works include: Princess Evangile, Princess Evangile W Happiness, Magical Marriage Lunatics!, Natsu no Iro no Nostalgia, and Sakura no Mori Dreamers. And we’re also bringing Ms. Itaru Hinoue! As a character designer and illustrator, Itaru Hinoue is an iconic figure within otaku culture. With popular titles such as Rewrite, Little Busters!, and Clannad among her many accomplishments, she easily stands out amidst her contemporaries in the industry. Her unique art style is popularly considered the archetype for modern “moe,” making her illustrations and designs easily the most recognizable in the genre. But what could her presence mean, I wonder? She could be working on a new game, but is this real? Could this be a hint as to why we’re bringing over an artist long associated with Visual Arts and Key? That’s it for Anime Boston! Our next panel on the con circuit will be Anime Central! 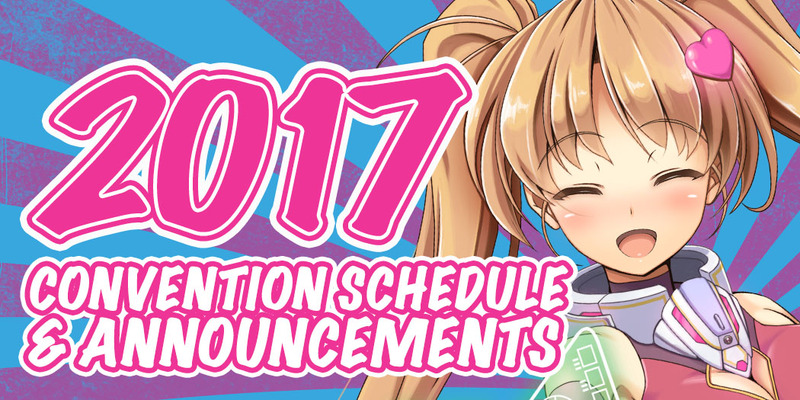 Panel and booth information can be found on our convention announcements website! Tagged Adelta, Ammolite, Anime Boston, BL, Hashihime, minori, secret projects, Sweet Young Bride, Trinoline. « Higurashi Kai Chapter 5 Meakashi Now Available for Pre-order! It really continues to disappoint that minori refuses to do mosaic free releases. Given that their games are some of the only titles in your catalog that are with mosaics this is definitely a them thing. Hope you can get through to them sooner or later. Sadly mosaic releases are ones I try to skip over or wait for a sale. Yeah I’m quite sad too… I bought all their previous games and this will be the first one I decide to stop buying. I simply can no longer support them knowing they won’t release uncensored VN’s. I don’t support Sekai’s VN’s because they are mostly censored too, I guess I need to add minori to that list too now. Thrilled about the Hashihime announcement, kind of reminds me of the innocent grey games setting-wise. I wasn’t even going to read the entry about it, because it didn’t look interesting. Thanks for giving the game a shout out and thereby making me read about it. It really *does* sound interesting. Not a fan of BL, 1 out. another 2 , Minori and Ammolite. never see any mosaic free game them , 2 and 3 out. well all miss this time. I’m still hoping Magical Marriage Lunatics is one of the secret projects they haven’t announced yet. Thank you SO MUCH for the new BL game! Will buy of course! Do any of these games have actual gameplay or are they all electronic picture books? Ever since I bought Rance I come to this site expecting more titles like it… hopefully next round of games are games. If you are expecting a big selection of games, then I’m sorry but that is unlikely. Around June/July we might get one to two and that’ll be it for the year. Most VN’s contain nothing like gameplay and Mangagamer is a VN localization company first and foremost. It’ll be a while before any new gameplay titles come along. Some might be announced during Otakon. Maybe Anime Expo, but I think that an Alicesoft or other gameplay eroge company title is more likely in Otakon. 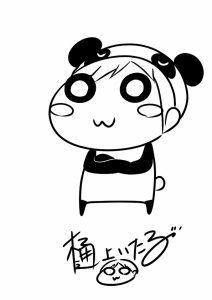 I am hoping Youkoso! Sukebe Elf no Mori e might be a secret project with some of these recent VNs coming out. If not they should definitely give it a shot, the game looks amazing!